Tian Jiaqing. CLASSIC CHINESE FURNITURE OF THE QING DYNASTY. Hong Kong: Philip Wilson Publishers and Joint Publishing (Hong Kong) Company Limited, 1995. This is the 1996 English translation. Hardcover with dust jacket. 308 pp. Over 350 color and black and white illustrations, and more than 120 masterpieces discussed. Very good/Fine condition. Top inch of white dust jacket on front cover has discolored slightly. 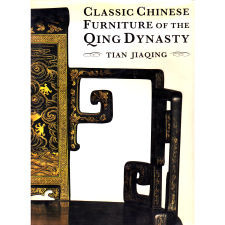 (See Photo) The author notes that Chinese furniture made during the Qing dynasty(1644-1911) was either authentic to its period, or modeled after furniture of a previous period. The most successful years of production fell during the mid- to late-18th century when prosperity and peace were at their zenith. 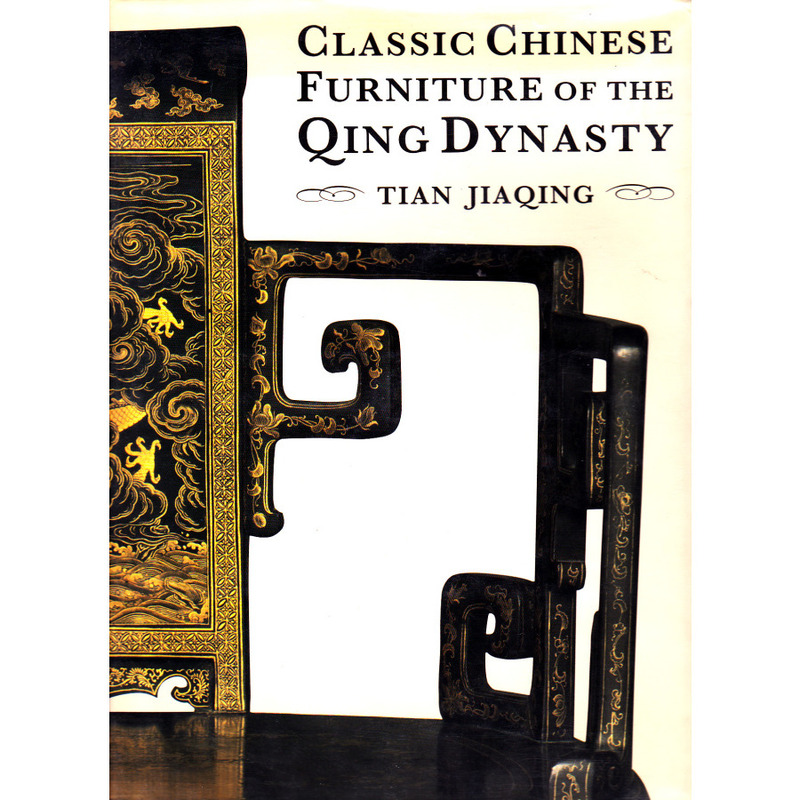 This book focuses primarily on the furniture made by imperial craftsmen for the Emperor during this period of great success. Measurements 9.5" x 12" x 1.5"